Just a quick note to say, tonight’s meeting has been cancelled due to a family bereavement of one of the organisers. Sorry for the short notice. I hope it doesn’t cause anyone too much inconvenience. Details of our meetings for the new year to follow. 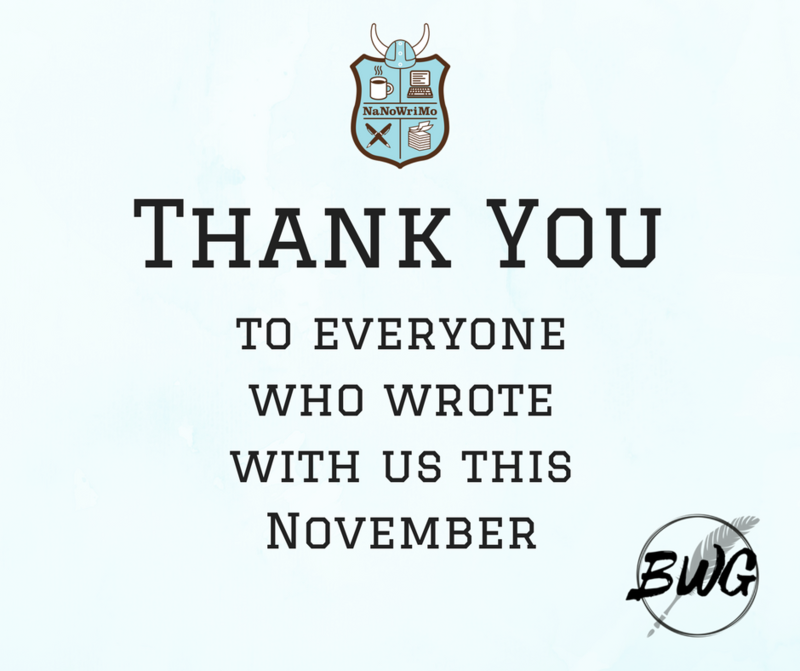 National Novel Writing Month is now over for another year, and we’d like to take this opportunity to thank everyone who came along to group to write with us during November. Hopefully we’ll see you at our December meeting!